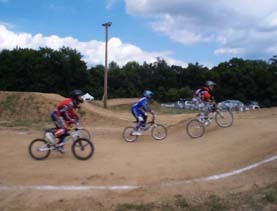 The East Moline BMX Speedway is a non-profit bicycling program for the Quad Cities and surrounding region. It is located at the Rock Island County Fairgrounds, near the corner of Archer Drive and 42nd Ave; behind Reynolds Ford. Use the Maps On Us link to view the track location.